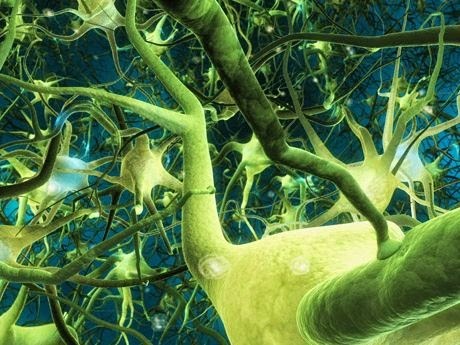 Philosophy of Science Portal: Neurons in court? "The Day When Neurons Go on Trial"
Here are law students on a Tuesday morning in 2013, hearing that researchers hope over the next decade or so to map the wiring of the human brain, seeing how individual cells link to bigger circuits. A decade is a sprint, less time than since 9/11, to use one benchmark. The scientists want to lift the hood and get a look at the human mind. The students, in a seminar at Fordham University School of Law taught by Prof. Deborah W. Denno, wonder what that will mean for the law. Over and over, they put questions to a guest speaker, Joshua R. Sanes, director of the Center for Brain Science at Harvard, about the implications for society if and when brain science can identify with confidence a propensity for violence, or for lying. He bats it right back at them. Work on animals has shown in broad strokes how information gets into the head and processed, but current imaging tools cannot keep up with the brain’s processing speed, or are not powerful enough to follow the molecular transactions involved in passing information and creating thought. Dr. Sanes has made close study of the retina, which he calls “a beautiful part of the brain.” He rates the human eye as a 100-megapixel camera, with 100 million light-receptor cells. The eye also has layers of cells assigned to detecting color contrasts, edges and various motions, especially of objects rising up. Many discoveries have been made during treatment of certain epileptic patients who can only be helped if a doctor severs misfiring parts of the brain. Because the brain has no pain receptors, patients are awake and can describe what they are experiencing as their neurons are stimulated — something a mouse cannot do. And it turns out that there is a Jennifer Aniston neuron. What evolutionary edge a person gets from such a neuron awaits more study. It is now believed that diseased circuits caused diseased brains, which we experience as psychiatric disorders, Dr. Sanes said. A student, Brittany Taylor, asked what such broken structures would mean if they cause somebody to commit a crime. “Are we going to look at that as a mitigating circumstance, or are we going to have to change our culpability standards completely?” she asked. What if other parts of the brain were involved, or if environmental factors were influencing the neurons? Could someone say with confidence that the neurons made him do it? But he assured them that they needed to be ready. Knowledge from the human genome project of the genetic code, will amplify — or complicate — brain mapping efforts, which are known as the Human Connectome. “Fifteen years from now, somebody is going to say it’s the 489th neuron from the back of your ear that made you do it,” along with a mutant gene, Dr. Sanes said. “That’s going to be hard to dismiss.